Director, Albert Frick Associates, Inc. Soil Scientist and Professional Wetland Scientist. He is involved in all phases of our company’s operation. Maine Association of Site Evaluators. Chris is the newest member to join our environmental consulting team. 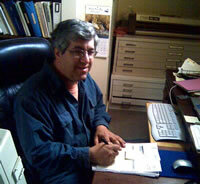 He is a Licensed Site Evaluator, Biologist and Certified Wetland Scientist. He has spent the last 10 years at the Department of Environmental Protection working in enforcement and permitting. He is now excited to bring his knowledge and expertise into the private sector. Chris is well experienced in wetland delineation as well as navigating the DEP permitting process. 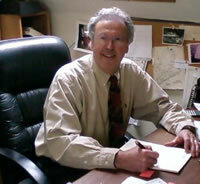 Matthew Logan, Licensed Site Evaluator, joined Albert Frick Associates in 1988. Matt oversees the Site Evaluation Program, and is responsible for residential on-site subsurface wastewater disposal designs and small commercial systems. Matt is very client-oriented, and has the great ability to provide detailed explanations which can be easily understood by clients. In his designs, he attempts to combine environmental preservation considerations with cost-effectiveness. The position of Office Manager is in charge of Accounts Payable, Accounts Receivable, General Ledger, and Payroll. Jamie is also the “day-to-day” person, handling scheduling, client services, correspondence, human resources and all other small details that running an office entails. Other areas of responsibility include updating databases, inventory, the preparation of reports and overseeing file maintenance. Brady is a Licensed Site Evaluator & Certified USACOE Wetland Delineator, and has been working with Albert Frick Associates since 1993. He has learned from the best in the business and continues in the tradition of high quality consultation. Brady is very familiar with the latest technologies in the septic design industry, and has performed countless designs on challenging waterfront and island properties. Brady is a past president of the Maine Association of Site Evaluators and continues to work towards improving the industry in which he works. 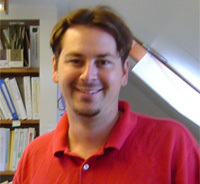 Bryan Jordan has worked with Albert Frick Associates since 1998. Bryan is a Licensed Site Evaluator, as well as being an extremely experienced GPS Technician, Engineering Field Technician and the most skilled Excavator Operator at AFA. 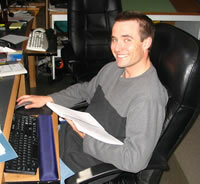 Bryan is a highly accomplished and efficient CAD Draftsperson, often taking on and completing complex designs. In addition, Bryan has contributed a lot of creative energy to our company brochure and website.